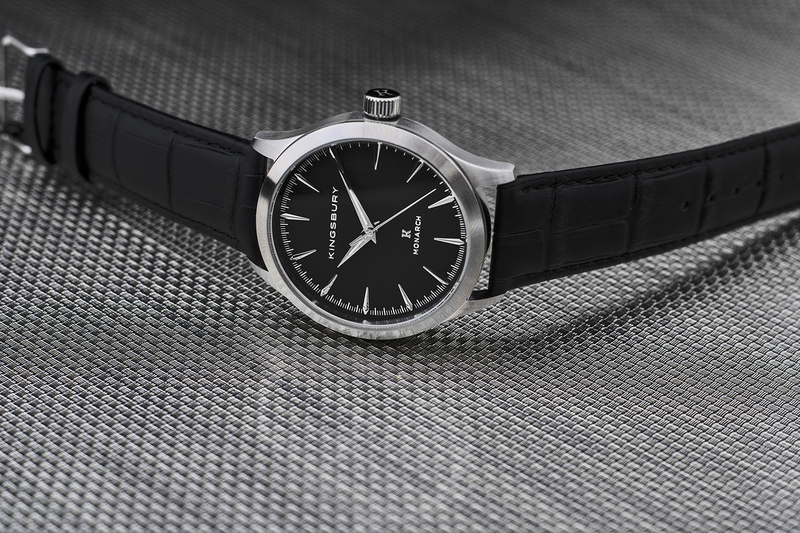 The Time Bum has teamed up with Kingsbury Watch Company to give away one Monarch II dress watch (ARV $119). It has a smooth sweeping (4x/minute) Seiko VH31 quartz, a 42mm brushed stainless steel case, and a black or brown alligator grain leather strap. You can find out more here. The prize watch will be brand new and shipped directly from Kingsbury. All you need to do is click on the entry box below and follow the simple steps. You get entries for Instagram visits, but it would be awfully nice if you would follow us too. A winner will be drawn after midnight February 28, 2019. While you are at it, read about the new Kingsbury Dark Water Diver too.